Hi Everyone! I would like to thank Ex Libris for hosting me today on my virtual book tour for Kade’s Dark Embrace. I really appreciate the opportunity to stop by and share a guest post with readers. 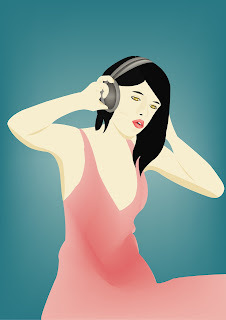 This post is about is about the popular trend of creating playlists for novels. Whether we prefer the solitude of a quiet library, music playing or the buzz of the city around us, everyone has a personal preference for how we like to read our books. How do you like to read your books? In silence? With music? Hope you enjoy my take on playlists for books. A few weeks ago while doing an author interview, I was asked if I had a playlist for Kade’s Dark Embrace. In all honesty, I never really thought about the link between music and books. Immediately intrigued by the idea of a playlist, I matched music with the scenes and storyline in my book. When I finished creating the playlist, I was amazed at how naturally music fits with books. Even though it is a subjective process and therefore, subject to individual interpretation, music and books can be an enhancement to the written word and the overall experience of reading a book. When we read, we unconsciously engage our five senses, immersing ourselves into another world. While it is true that we deliberately use our eyes to read the words, we also automatically visualize what is happening the book. We see pictures in our head of the characters, locations, etc. And while we do not actually smell anything, we connect the descriptions in the book with familiar smells from our own memories. We can also conceptualize the feel of textures, when described in detail. For example, as we read “He ran his hands over her silky smooth skin,” we think of touching something soft as silk, not rough or calloused. When we read about sounds described in a book, like the beeping of a horn, or a driving techno beat playing in a club, we can almost hear it in our minds. In Kade’s Dark Embrace, there is a scene where Sydney meets Tristan at Café du Monde. Not only can I imagine the taste of the powdered sugar, the beignets and café au lait, I can hear in my mind the jazz being played by street performers. I can hear the Zydeco music being played as she walks down Royal Street window shopping. So it does seem that music and books are synergistic. But what will readers do with the playlists? For some people, music can enhance the reading experience. And for those who prefer to read silence, the playlist can provide him/her with song ideas to listen to before or after reading the book. While a playlist is simply a collection of songs, it is yet another wonderful way to engage the reader’s senses. The creation of a playlist is a creative process that has potential to show readers an author’s perspective on the book. But the question remains: Will the playlist match up with songs the readers think should go with the book? Maybe yes, maybe no. In either case, it is a fun process and certainly worth a read and a listen. So it is with great pleasure that I share my playlist for Kade’s Dark Embrace. Happy reading and listening! 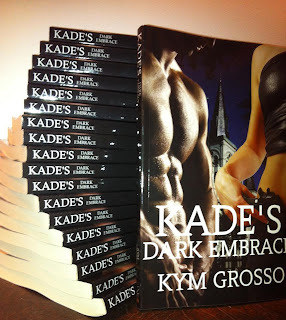 Kade’s Dark Embrace is my debut paranormal romance novel. I have also written and published several articles about autism. I developed a late interest in writing after my son was diagnosed with autism and started advocating on his behalf. 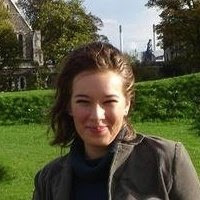 Three years ago, I started my own website, http://www.autisminreallife.com/ and now blog and write articles for PsychologyToday.com. I live in Pennsylvania with my husband, two children and our dog, Ace. My hobbies include autism advocacy, reading, tennis, zumba and traveling. New Orleans is one of our favorite places to visit with its rich culture and unique cuisine. But we also love traveling just about anywhere that has a beach or snow covered mountains. I love reading mysteries, romances and about all things vampires, werewolves and other supernaturals. I hope readers enjoy Kade’s Dark Embrace. I have already started writing the next book in the series, about Luca, due out Fall 2012.